Vault of Midnight presents our Free Comic Book Day Superhero Medley with the Skillman Branch Library on the afternoon of Saturday, May 4th. This program will feature a medley of popular superhero TV episodes from over the years, such as Batman: The Animated Series, Teenage Mutant Ninja Turtles, X-Men, and MORE! 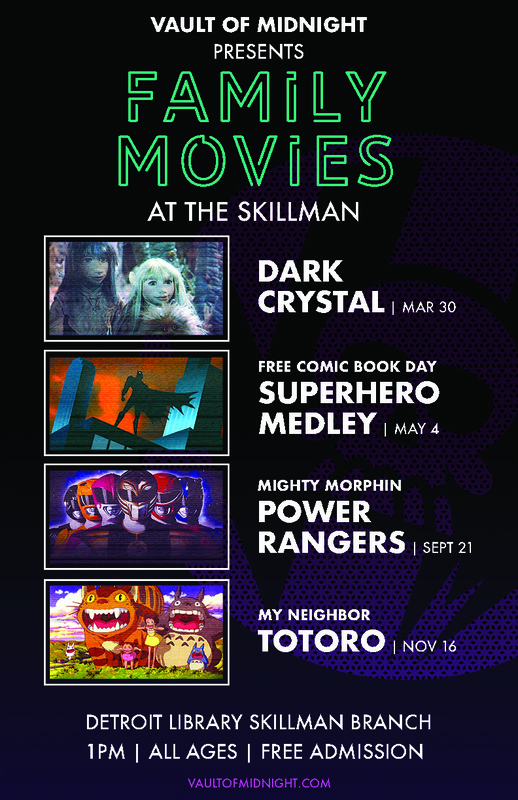 This is yet another part of the popular Skillman Saturday Matinee series, but will also act as a part of Vault of Midnight's Free Comic Book Day - Detroit festivities! It's also a great opportunity to check out downtown Detroit's community library, Detroit’s Skillman Branch on Library Street! Come out for free comics and stay for the fun flicks! All our welcome, but we do ask that any young folks bring their favorite adult. Don't forget that Vault of Midnight validates parking at Z Parking Garage for up to two hours with any purchase!